All light sources degrade over time but most just “burn out” before serious loss of light output. LEDs, on the other hand, do not burn out but continue to degrade – eventually beyond useful light output, which is typically recognized as 70% of initial luminous flux (L70). 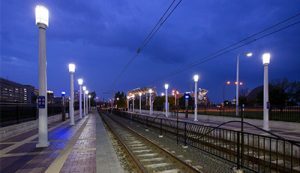 Recognizing the need for an industry standard that would also help users evaluate LED products, in 2008 the Illuminating Engineering Society of North America (IES) published LM-80. Note, however that while LM-80 provides a standard method for testing lumen maintenance, it does not provide guidance or recommendations for predicting or extrapolating maintenance beyond the duration of these measurements. The need for this additional level of guidance was addressed in 2011 when the IES published TM-21: Lumen Degradation Lifetime Estimation Method for LED Light Sources. The five required metrics on the LED Lighting Facts label come from LM-79 test results. LM-80, on the other hand, is the approved method for measuring the lumen maintenance of LED packages, arrays, and modules. In other words, LM-80 is a method for measuring the LED light source at various temperatures. LM-80 specifies a minimum testing period of 6,000 hours, with 10,000 hours being the preferred testing period. 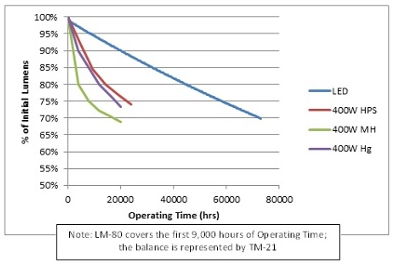 LM-80 also requires testing at a minimum of 1,000-hour increments. Note also that LM-80 provides no determination or estimate of expected life or lumen maintenance beyond the test data; expected life beyond this period is covered by TM-21. Even though 10,000 hours of testing falls far short of the claimed lifetimes of most SSL products on the market today, LM-80 requirements stop at 10,000 hours in order to allow for faster LED product development by light source manufacturers. In 2011 the IES published TM-21: “Lumen degradation lifetime estimation method for LED light sources.” This is the IES-recommended method for projecting the lumen degradation of an LED package, array or module beyond the LM-80 test period. TM-21 is now the standard method for projecting useful LED lighting product life at realistic operating temperatures. • The useful lifetime of the component in which the LED will be used. • How the LED’s light output degrades under various conditions. • The shift of the color point under the same conditions. Those measurements enable manufacturers to assess how the LED component can be expected to perform under similar circumstances in the field. The LM-80 standard also gives the end user a baseline for testing their entire LED inventory, regardless of manufacturer. 1. 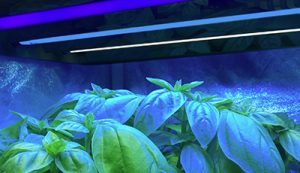 LED products that incorporate electronic controls to adjust the LED drive current during long term operation in order to maintain output at or near initial performance levels will affect the maintenance of the LED lumen. Therefore, it must be indicated that LED lumen maintenance claims are based on initial performance only. 2. Products that incorporate LED drive current for other uses may use controls that affect additional performance attributes. This would apply, for instance, to manufacturers submitting test data for controls that vary the wattage. LED lumen maintenance claims are based on initial performance only. 3. 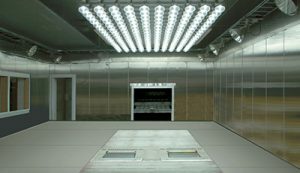 Products which incorporate two or more unique LED light sources to accomplish the desired light levels or color will typically produce different lumen maintenance performance. Manufacturers may still claim LED lumen maintenance, but must use a standard formula and indicate the product incorporates multiple LED light sources. it is a very efficient method for measuring the depreciation of lumen life. By testing their products using this standard, reliable manufacturers and lighting designers can understand that the useful lifetime of the component in which the LED will be used.